As Israel gears up for its elections, a group of student activists hope to re-energize Diaspora Jewry's own major Zionist body. 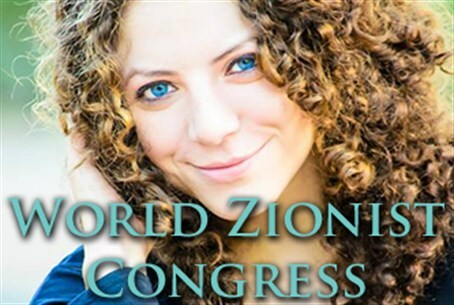 Student leaders and grassroots community organizers are fighting for representation in the upcoming World Zionist Congress, claiming that the official Zionist movement has become “fossilized” and no longer relevant to Jewish young adults. The World Zionist Organization, established by Theodore Herzl, convened its first congress in Basel in 1897 and meets roughly every four years to decide on policies and budgets connected to world Jewry. But claims that the WZO has become outdated and irrelevant to the current struggles of the Jewish people has led to the emergence of grassroots Zionist movements, several of whom have now joined together in an effort to force the official Zionist movement to make itself relevant to the current generation of Jewish youth. Most of the ANZV’s candidates and activists associated with the campaign have experience creating new Zionist initiatives. Sharona Bat-Ephraim, a student activist from UC Berkeley who just recently made Aliyah and is currently heading the Alliance’s campaign, spoke to Arutz Sheva about the changes she hopes her coalition will enact. While active at Berkeley, Bat-Ephraim worked with several pro-Israel student groups, from StandWithUs and Caravan for Democracy to Hasbara Fellowships and CAMERA, but she was best known on campus for leading Tikvah: Students for Israel and her involvement with the radical Zionist Freedom Alliance. “I’ve worked for or with nearly every pro-Israel organization that exists but this campaign has the greatest number of passionate activists I’ve ever seen on one team. It's an amazing feeling." “We are the only truly grassroots movement participating in these elections,” she continued. After graduating from Berkeley, Bat-Ephraim enrolled in an Israel Studies masters program at UCLA and started the Doreinu movement to address issues of Jewish identity among young professionals in Los Angeles. She said her inspiration for starting Doreinu came from one of her most formative Berkeley experiences. After being assaulted by the president of the Students for Justice in Palestine during a pro-Israel demonstration, Bat-Ephraim sued the university and only lost the lawsuit on a technicality: the defense had successfully argued that Jews in the United States are no longer considered an ethnic minority and therefore attacks on Jews cannot constitute a hate crime. Claiming that the illusion of white privilege in American society had come to the Jewish people at the expense of authentic identity and national rights, Bat-Ephraim started the Doreinu movement to spread national consciousness within LA’s Jewish community. In its attempt to enter the WZO, the Alliance for New Zionist Vision has already faced several challenges. The American Zionist Movement – through which the Alliance is running in the United States – required the activists to submit a petition with 500 signatures from American Jews by December 15 in order to be eligible for participation in elections. The Alliance succeeded in procuring almost double that amount. During the petition period, however, the ANZV was exposed to targeting by larger, more established parties. Since it is required for each slate competing in AZM elections to reserve every fourth slot for a youth delegate (aged 18-30), the Alliance – which aside from a couple veteran activists in their 30s is exclusively comprised of youth – became a target for poaching by older movements desperate to find candidates under 30 to place on their lists. But despite bribes and pressure, none of the Alliance candidates agreed to jump ship, with the exception of one person – the twenty-first candidate on the ANZV slate – who was tempted by an offer of a higher place on the slate of the powerful Zionist Spring. Other lists, including one allegedly connected to Foreign Minister Avigdor Lieberman, have reportedly been more aggressive in their attempts to intimidate ANZV candidates into backing out of the race. One activist from the Russian Jewish community was pressured to withdraw his candidacy completely and another faced accusations of “betraying the community” for choosing to run with the ANZV instead with Lieberman’s list. Voting in the American Zionist Movement elections takes place online between January 13 and April 30. To be eligible to vote, American Jews over 18 can register with the AZM for the cost of $5 ($10 for those over 30) and can immediately vote for one of the American slates for the World Zionist Congress.